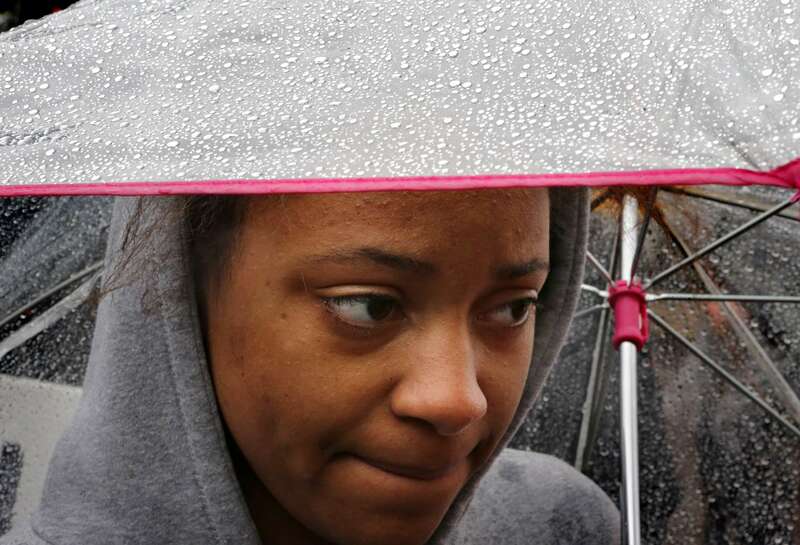 Lakeyra Stephens, 20, takes shelter from the rain under her umbrella after she marched with protesters around downtown Clayton during the first Ferguson October protests on Friday, Oct. 10, 2014. About 400 people too part in the march and protest aimed at getting justice for Michael Brown and to get St. Louis County prosecuting attorney's Bob McCulloch to step aside and bring in a special prosecutor. Stephens, a Webster University student from Texas, says she showed put show solidarity with the protesters. She went on to say that she was surprised by the level of segregation she sees in St. Louis compared to Texas.